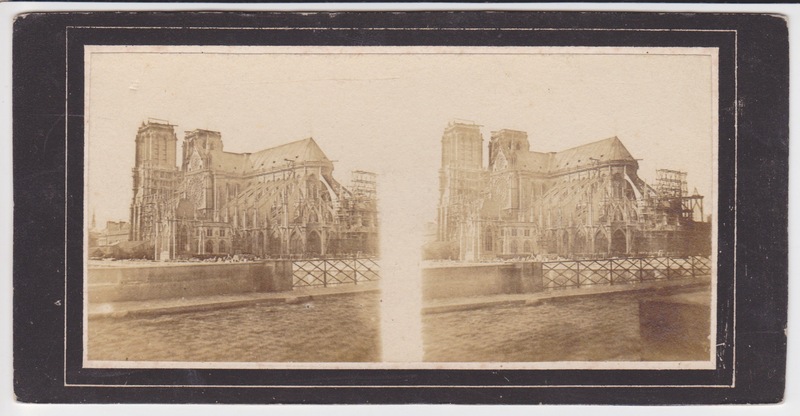 Early French stereoview of the Notre Dame, Paris. Paris. South facade and abside and apse. Leautté Frères. Around 1855. Paris. 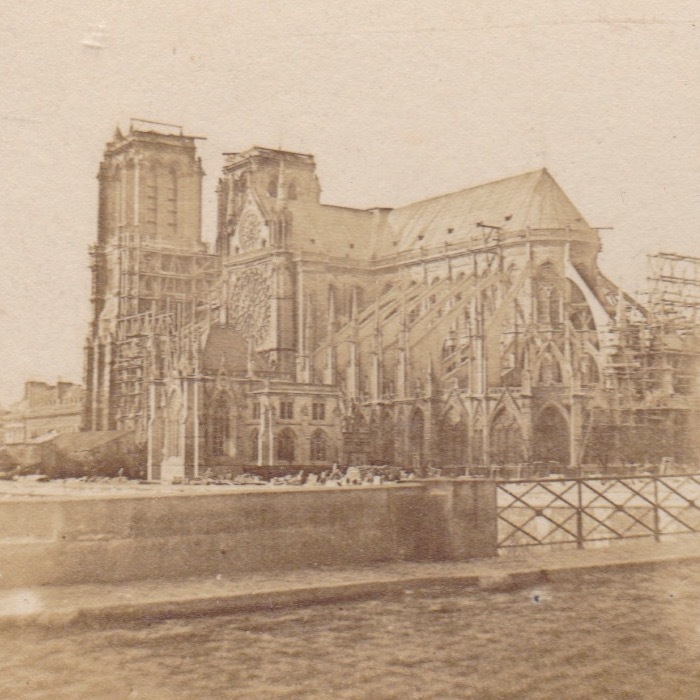 South façade and apse of Notre Dame church. Leautté Frères. On the reverse in pencil .